The principal shooting of Pawan Kalyan’s upcoming film Cameraman Ganga Tho Rambabu has been wrapped up and now the film’s team is concentrating on its promotional campaign. The film’s audio is going to be released directly into the market on September 26 and the latest news is that two stunning trailers are going to be unveiled on the same day. 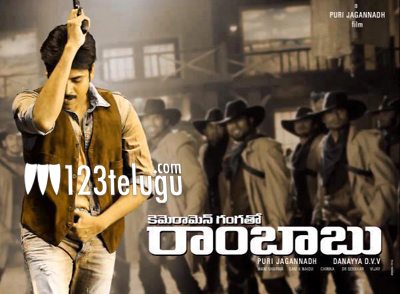 Those who have seen the trailers say that the trailer will definitely impress everyone and fans of Pawan Kalyan in particular since it boasts of Pawan Kalyan’s signature style. Pawan Kalyan is playing the role of a journalist in the film and it’s turning to be quite a promising entertainer with a good dose of social message. Puri Jagannadh has directed the film and DVV Danayya has produced it. Tamannaah has played the lead role opposite Pawan Kalyan and Gabriela Bertante will be seen in an important role. Mani Sharma has composed the music. The film will hits the screens on October 18.